Cameron McNeish celebrates Scotland’s world class landscape with a new national trail linking Kirk Yetholm in the Borders with Cape Wrath, the most north-westerly point on the mainland. In the first of two programmes he walks the southern half of this 470 mile trail travelling through the rolling hills of the Borders, visiting our capital city of Edinburgh and entering our first National Park. It’s a journey Cameron describes as ‘one of the great long distance trails of the world’. 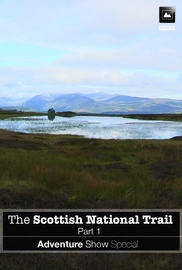 Both parts of the Scottish National Trail in one package.